Like a DJs they has been played in a lot of catalonian clubs and events, and into the international scene they have been played into some of the most relevant underground clubs like Wrong Club and La Divina Club at London. They are owners of the record label Bit to Bit Records where they promote the underground electronic scene, giving support to local and internacional producers.. They have licencing works released in their label with big labels like Stoyoyoke.They have licencing works released in their label with big labels like Stoyoyoke. Their House music show Bit to Bit Radio Show have been listened at 47 radiostations on 17 countries around the world. 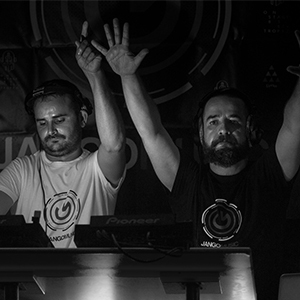 Always in rising progression, their House live sets take you to another level. End of 2015 Capo & Comes pass a new step and join the Jango Family like exclusive artist.